That season is coming up - whether you embrace it fully or just tolerate it, the holidays are here as they are every year. There are of course good points to the hustle & bustle of the season - what all of the festivities really mean, and of course, the meals. The holidays are all about togetherness & joining up as people in celebration, regardless of our individual differences. What brings people together more than food? The guests you'll be entertaining this year, whether it's through FlatClub or family & friends, will love & appreciate good home cooking. Make a holiday memory that will last forever with your guests by making a special meal with them. 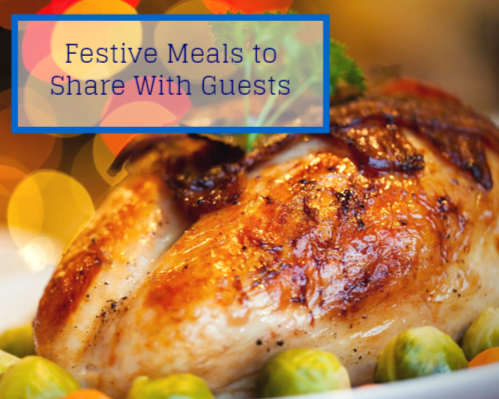 If your guest is from a foreign country, where perhaps the traditions are different, you might consider doing a meal to celebrate the holidays together! In Spain during the Festive Season, most shops have a bowl with some turron, a nougat like confection and polvorones, crumbly sweet biscuits for clients & shoppers to take a piece. Leaving a bowl of sweets out for a Spanish guest with a Christmas card nearby will certainly be a welcome taste of home, and might be easier to do than roasting an entire traditional lamb with them! In France, Christmas is often celebrated with a Yule Log, or rather a Bûche de Noël , as their dessert. These are getting easier to find in the UK and elsewhere, so buying a yule log in a shop or bakery to add to your festive table for your French guests should be easy - and will be much appreciated. If you’re confident in your cooking & decoration or your guest is willing to helping out, you can also try and make your own Buche de Noel! While Christmas isn't traditionally celebrated in Japan, it is acknowledged through gift-giving & fried chicken on December 25th! So if you're hosting a Japanese guest, you could work together on a starter of fried chicken with a Japanese-inspired batter. In Germany many different treats are eaten around the holidays, some of which you may not be familiar with - things like stollen (spiced, dense fruit bread), gluwein (hot mulled/spiced wine), and marzipan are all classically served in Germany in winter. With a German guest staying in your home, you could add these sweet treats to your table. The United States has holiday traditions involving preparations not common in the UK, such as pumpkin pie, pecan pie, and candied yams - sweet potatoes covered in sugar & butter topped with marshmallow and grilled. American guests would be happy to share these traditions with you. Wherever you are on Earth & wherever your guest may be from, there is a festive meal that is eaten to celebrate getting together with good friends. Sharing something like this with your guests, especially at this time of year, will give you both a great feeling inside & a warm memory to hold forever. Mouth watering for some great hosting opportunities? Want to make some extra cash during the holidays? Take a look at how to host a lodger during the holidays - or anytime - on FlatClub! When you're finished going around Angel's delightful coffee shops & the N1 Shopping Centre, take a break at one of the green parks nearby. Culpeper Park - A lovely park with a children’s area for the kids to play in. There is also some greenery for the adults to just relax in, too! Barnard Park - Another nice big park that is currently taking in suggestions for improvements; so take a stroll around and see if there is anything you’d like to improve! Gibson Square Gardens - Gibson Square is a lovely park in Angel, it’s got shrubbery & flowers abounding. A great place to eat your lunch, go on a romantic walk, or take some well behaved children to admire the plant life. A very relaxed square indeed. Islington Green - A bit of a rarity in London, this was former land owned by a manor that fell into disrepair and therefore, public usage in the olden days. It’s fun to imagine the grazing cattle making their way across the green. There’s also a cinema here where you can catch screenings of movies new & old. Shoreditch Park - Shoreditch Park is a very large park with some spillage into Angel - you can hoof it over there and enjoy all 47 acres of this well-established park. Surely there is something for everyone - or you can just take a very long walk! Looking for a way to extend your fun time in Angel? There's still plenty to do in Angel after dark! 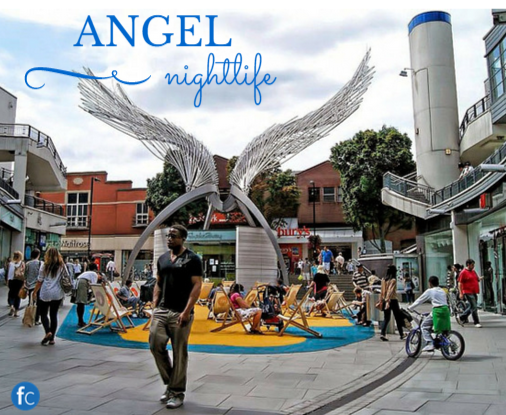 Take a look at the best nightlife in Angel. The Four Sisters - If you’re a fan of burlesque, this would be a great venue for you - every 1st Thursday of the month they put on quite the show! In addition & on every night, they have a great wine list and excellent cocktail selection. Dim lighting & dark wood makes this a great weekday chill out spot. Hoxley and Porter - An interestingly themed bar to be sure, this place purports to be the hang-out of a couple of 19th century explorers, by the names of Hoxley & Porter of course. They’ve got an extensive food menu in addition to cocktails, wine, and beer. It’s a nicely put together place & good fun with great drinks. The LadyBird Bar - Fashioned into a bit of a speakeasy, a cocktail bar, and a live music venue in Angel. It’s open very late until 4 am, and there are massive cocktails that are tasty & varied. There is also a small downstairs dance floor to kick out the jams on. Slim Jim’s Liquor Store - Kind of a ‘dive bar’ and just the slightest bit scandalous, this is a fun place to go with a group of friends in Angel. Do keep in mind that they enforce a non-business dress code, so maybe change out of your tie before you head over. Barrio North - Barrio has a cool Latino flavor to it, particularly from Spanish-influenced areas of cities like Miami & NYC. Delightful, well-mixed cocktails are available in a variety of flavors that will suit anyone. They range in price but average at under £10. Angel is a lovely neighborhood in Northern London that is quite near the FlatClub office - it's a great spot for food, shopping, and even coffee shops. Have you ever tried bubble tea? You can get an amazing one in Angel - in addition to excellent flat whites & cakes. The CoffeeWorks Project - One of the stalwarts of Angel, this place is where coffee fans flock to when they’re in N1. Flat whites are probably the top-rated selection, but they do a mean latte & a nice tea selection too. Gluten free brownies for the wheat-intolerant out there, so don’t feel left out! Euphorium Bakery - They serve good coffee - but way more than that, they have amazing baked goods, with a focus on cakes! It’s not just sweets though, so if you’d like some fresh bread this is the place for you, too. Relaxing with friends here is a popular pastime in Angel. There is a nice airy feel about the place, and even though it gets quite crowded at certain points in the weekend - you can always take out a piece of cake, right? Kipferl Austrian Coffeehouse - Don’t worry if you can’t pronounce the name, just stick with ordering one of their delightful coffees & you’ll be fine! A very stylish & bright space, this coffee shop down Camden Passage is a great place to wile away the hours and do some people watching in Angel. Not only do they do coffees, they do plenty of amazing Austrian & Central European food & cakes! Including the classic Sachertorte - which we recommend strongly. Brew Box Bubble Tea - This place is great - if you’ve never tried bubble tea, this will be the perfect one to try! Super friendly staff will explain to you what exactly ‘bubble tea’ is, but a quick primer is as such: delicious, sweet, and creamy iced tea with chewy tapioca pearls at the bottom. So refreshing and lovely on a warm day! Not only that, but you can also grab some Japanese inspired desserts & savouries and relax in the comfortable seating area. Tinderbox Espresso Emporium - Tinderbox is inside the cool N1 Centre shopping mall in Islington, and it’s open until a staggering (for London) 10:30 pm. This is THE place to go if you need coffee late night. There are a range of drinks however, for the non-caffeinated among you - grab some juice or tea & a panini while you unwind after some serious shopping. Hosting an intern is a rewarding experience & welcoming an overseas visitor into your home is a unique opportunity to learn more about the world around you. Why host an intern with FlatClub? We can guarantee that the interns are verified, coming from top companies around the world, and our customer service places them with interested hosts as soon as possible and works with the host & the intern every step of the way. Some of the best experiences in life come from interaction with people who are unlike yourself - so hosting an intern from another country will prove to be quite an engaging opportunity! You can learn about their culture, their language, and share your language, culture, and most of all home with them. Interns also often have extended stays in a city, for the duration of their internship of course, which means more time to get to know & feel comfortable with one another - it also means a longer rental period, more money, and more security knowing that your room is filled. All you need is a spare room in good condition, an open & curious mind, and a welcoming nature! In return you get knowledge, companionship, some extra money for the holidays or any little occasion, and an experience that will last a lifetime. We have more information on hosting interns in London, hosting interns in Dublin, and international students in London. 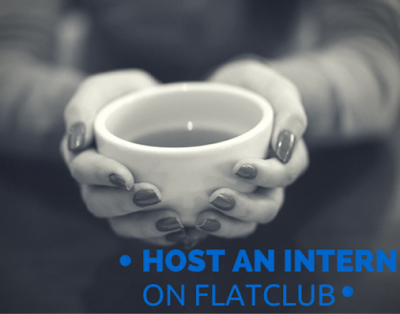 Still unsure about becoming a host on FlatClub? 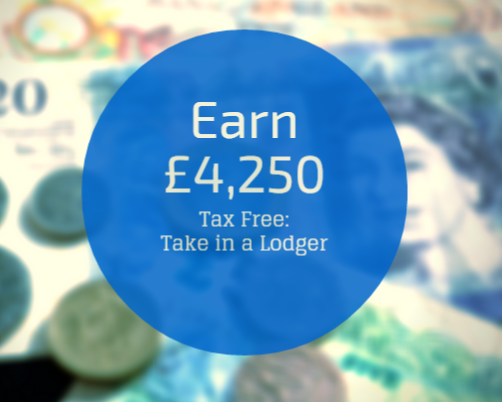 Let £4,250 worth of tax-free earnings convince you! This is eligible for live-in landlords, which means that you can share a room in your home or an entire floor - all you have to do is maintain residency there. You’re also eligible if you rent out a guest house or run a bed & breakfast. It’s an amazing opportunity to turn your property into cash, whether you rent or own. You can find more info on the official UK government landlord tax allowance page. The best way to find such lodgers for your property is FlatClub - our guests are verified members of top universities or businesses, in your city on business trips & short courses lasting about 30 days on average. You could build up that income to £4,250 with ease on FlatClub, especially if you take advantage of our LiveDemand service, which allows you as the host to search for the guests that suit you. This is a great way to earn an extra bit of income for the holiday season. Not only will you make some additional cash to give gifts with, you’ll also be giving a young professional or student the gift of accommodation in your great city - we’ve got lots of interns coming into London and other key European cities, so get in touch with us at host@flatclub.com for more information. There's plenty to do in South Bank - the South Bank Centre, for one, usually has some cool stuff going on! 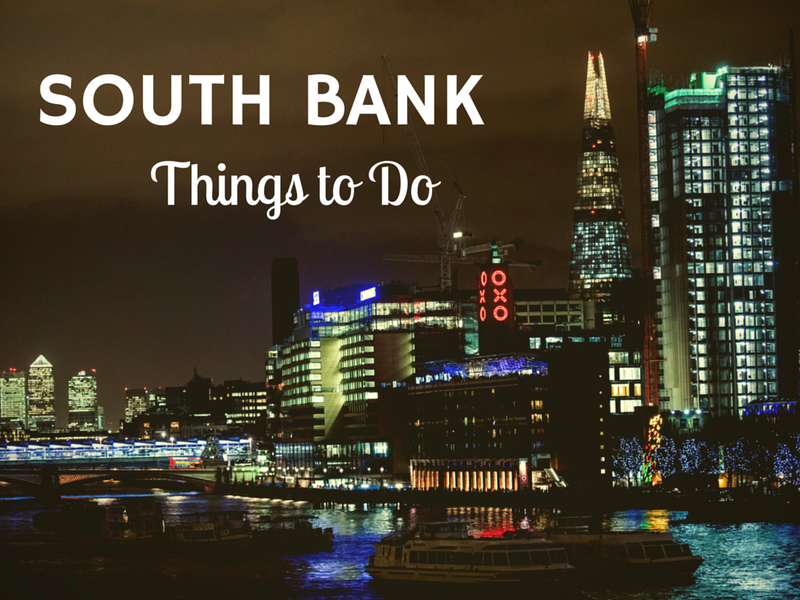 Here are a few more things to do in South Bank. Borough Market - For the foodie, Borough Market may just be heaven on earth. Open for lunch Monday and Tuesday, and with a full market Wednesday through Saturday, there is a lot to explore. The sheer amount of choice available can be overwhelming, but definitely worth a couple laps around the food stalls as you decide. Tate Modern - If you’re a modern art buff, you must go to the Tate Modern. From daily free guided tours to interactive digital displays throughout, there is plenty to see and do. Only special exhibitions have entrance fees. The London Eye - One of the most iconic tourist experiences in recent London history, The London Eye is a gigantic, slow-moving ferris wheel. During the ride you stand or sit in a glass pod and have one of the best views of the city you could get, unless you happen to have access to a helicopter. Shakespeare's Globe Theatre - Any theatre buff’s ultimate experience would probably be seeing a Shakespeare production as they were meant to be seen. You can have that experience at the rebuilt Globe theatre, situated a mere hundred yards from the original. Imperial War Museum - The Imperial War Museum covers the stories of people who were impacted by conflict from the First World War up through the present. There are exhibits such as The Trench Experience and the Holocaust Exhibition. Need coffee? Sure, we all do. Head to South Bank & get yourself a nice brew & a piece of cake! Konditor & Cook - Delicious & London-famous brownies in addition to high quality espresso drinks? Konditor & Cook can hook you up in South Bank. The brownies are perfectly gooey in the middle with that signature brownie edge, and the rest of the cakes are all lovely too. The coffee is great, too - made all the better by the delicious sweets! Greensmiths - Greensmiths is a very cool idea - a grocery store, charcuterie, bakery, and of course a barista with gourmet coffee on the tips of their fingers. Kind of an all-in-one stop in South Bank! Pick up some local produce, fresh meat, and take away a deluxe Antica cappuccino. 2 Love Tea & Coffee House - Italian style coffee & fun, Italian style service with great seating along the river. You can even see Parliament while you sip a perfect latte. They also do a Vietnamese iced coffee - made with condensed milk & espresso. A fun place with sweet staff! Monmouth Coffee - Monmouth espresso is used across London, and there shop in Borough Market is always bumping with people who want to try it from the homebase. It’s considered the best coffee in London, so do be ready for a queue on a weekend morning! They also sell beans, whole or ground, filter coffee and a range of espresso drinks there. National Theatre Espresso Bar - Delicious cakes & savouries such as soup & bagels in addition to quick espresso drinks. Not a lot of room to sit down and relax here, but great takeaway options - and something quick before you head off to the show! South Bank is near Waterloo station, and is a great home base for travelling around the rest of London. If you're feeling hungry, it's got you covered there, too! Pieminister - Great British pie and mash, using quality meat and ingredients - what could be better? Eat in or take away, you won’t want to miss a chance to try it if you’re in the area. These great pies can also be found at Borough Market. Masters Super Fish - Every neighborhood needs a good fish and chips shop, and Masters is one of the best. Fresh, hot fish and chips for a truly great price is something that is difficult to find in central London. Real Food Festival - Right next to the Southbank Centre & Royal Festival Hall - very near the train station, as a matter of fact - there is an amazing food market every Friday, Saturday, and Sunday. Find great food traders working in all different genres of tastiness: stuff like Spanish Jamon Iberico, crepes, curry, and even artisan ice lollies (popsicles) - even more to be seen, so check it out! EV Restaurant - There are a lot of nice options for Turkish food in London - this is one of the best near South Bank! In Borough, it’s a nice sit-down eatery with an expansive menu. You can truly find something for everyone, but we particularly enjoy the Kuzu Koftesi for our main, and Kaymakli Kestane for dessert! Tsuru - Tsuru has a few branches in London - one of which is in South Bank, lucky for fans of Japanese food there! There options such as sushi, katsu sandwiches, and teriyaki bento. Not too expensive, it’s a good option for quick but unique lunches & relaxing dinners. You’ve got to try the chili oil & if you like it enough, buy yourself a jar!